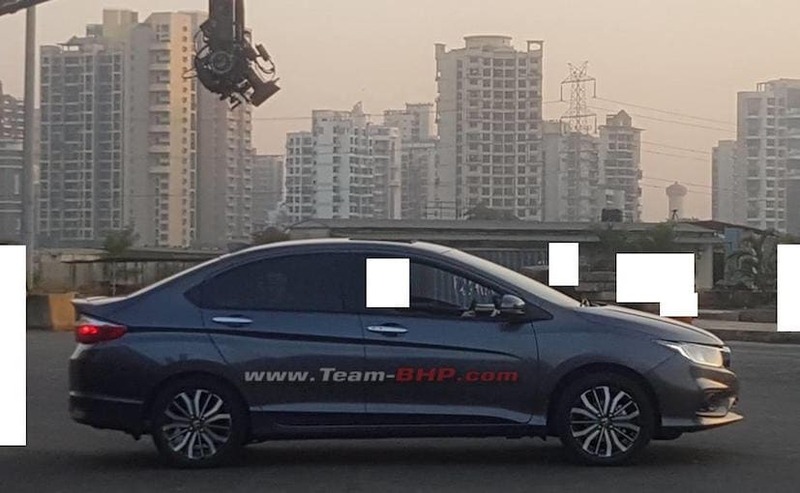 Ahead of its official launch in Thailand on 12th January, the 2017 Honda City facelift has been caught almost undisguised in India, as per the new spy images. Images of the 2017 City were recently leaked online in Thailand and the latest round of images reveal the India-spec model in full glory. 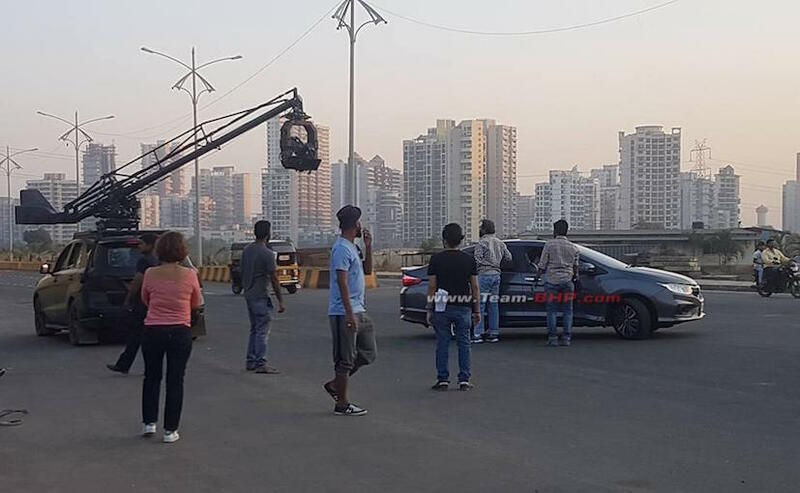 The images were taken during a TVC shoot, hinting at the launch being very close. At the rear, the Honda City facelift gets reworked tail lamps with LED inserts. You also get more chrome on the boot lid as well as an integrated spoiler with a centre LED stop light. The rear bumper has also been tweaked and gets a clutter free look. The side profile remains the same as the outgoing model. Yo do see new diamond cut alloy wheels though which could be 16-inchers, replacing the current 15-inch units. 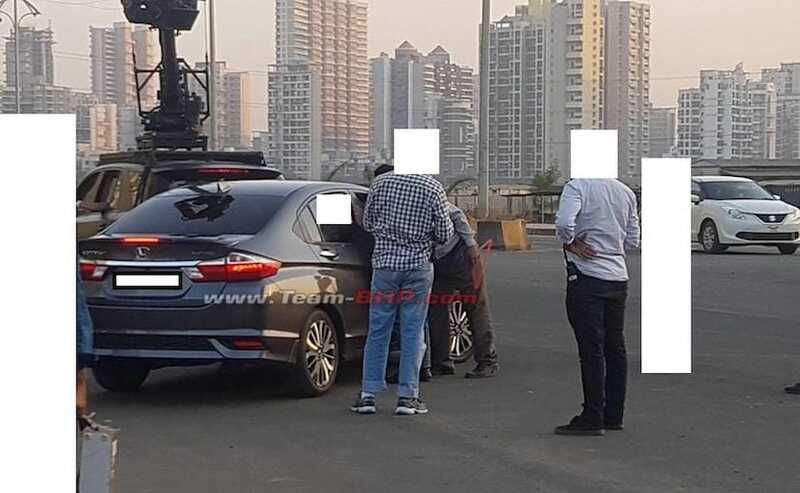 While the interior is still under wraps, the Honda City facelift is expected to get an updated infotainment system with Android Auto and mobile mirroring app. The top variants could see leather seats and six airbags available as standard, along with improved materials around the cabin. The other changes are likely to include improved ground clearance of about 10 mm, as well as a reworked suspension setup for better ride quality. With respect to power, the 2017 Honda City facelift will continue with the 1.5-litre i-VTEC petrol engine in Thailand and India. We, however, also get the 1.5-litre i-DTEC diesel engine that will continue to serve purpose. Transmission options include the 5-speed manual and CVT unit, while the diesel gets a 6-speed manual unit. It will be interesting to see if Honda introduces the 6-speed manual on the petrol version as well. Having lost the top spot to the Maruti Suzuki Ciaz in the segment, the 2017 Honda City facelift is extremely important to the automaker and is expected to take on the Ciaz more enthusiastically. That said, the automaker will also have to fend off competition from the Volkswagen Vento facelift, new generation Hyundai Verna and the recently launched Skoda Rapid facelift in the segment. More details are expected to emerge after the Thailand launch is complete.